After months of rumors, Android co-founder Andy Rubin unveiled the Essential PH-1 phone last month. The phone has high-end specs, nearly no bezel at the top or sides, and optional accessories like a 360-degree camera. But a phone from a startup was likely a hard sell to US carriers, and it seems the only carrier that wanted it was Sprint. Today, Sprint announced that the Essential phone will be exclusive to its network, and sold in all retail stores and on Sprint's website. The phone will also be sold through Best Buy stores and Best Buy's site, but it will be limited to Sprint customers. Pricing details have not been announced yet. 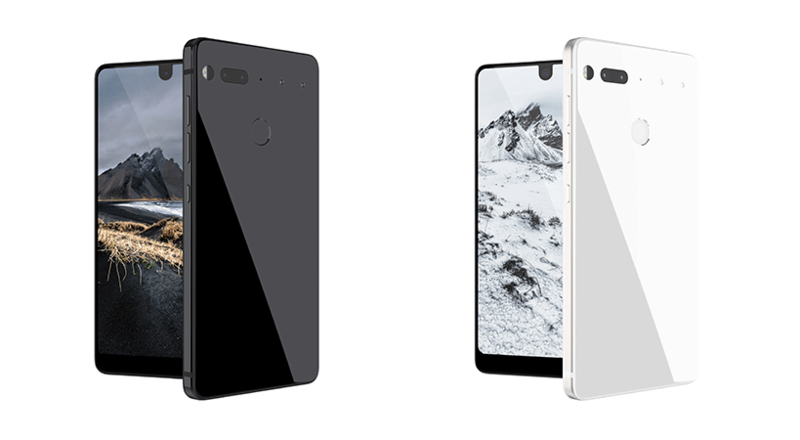 You can pre-register for the Essential phone at the source link below, to receive more information about when it actually goes on sale. And of course, if you're not on Sprint, you'll still be able to purchase the unlocked model from Essential when that becomes available. Sprint is proud to be the exclusive U.S. carrier for Essential Phone, the first smartphone from Essential Products. Essential Products was founded by Andy Rubin, co-founder of Android, the world's most widely used operating system. Andy started Essential to shake things up in the tech industry. He wanted to create a new kind of company using 21st century methods to build consumer products for the way people want to live in the 21st century. Essential Phone is expected to launch later this summer. It will be expertly crafted using titanium and ceramic, has an edge-to-edge Full Display and captures stunning images with a color + monochrome dual camera system. It also features top-of-the-line specs (the newest Qualcomm Snapdragon 835 processor) and 128GB of memory providing plenty of space for apps, photos and music. Best of all, it will have accessories that easily attach through a magnetic connector making wireless data transfer cord-free, future-proof and always up-to-date. With the world’s smallest 4K 360° camera accessory (sold separately), users can easily create immersive video and VR content anywhere, anytime. Essential Phone will be sold at all Sprint retail stores, telesales and Sprint.com as well as in U.S. Best Buy stores and on BestBuy.com. Pricing details will be provided closer to launch. Pre-register to be one of the first to own Essential Phone from sprint at www.sprint.com/essential. NETWORK: Sprint is uniquely positioned as the best network for Essential Phone with its vast spectrum holdings giving users the network capacity they need to stream 360 video. With an average of 204MHz of spectrum and more than 160MHz of 2.5GHz spectrum in the top 100 U.S. markets, Sprint has more spectrum than any other carrier across the nation, allowing Sprint to keep adding the capacity and speed needed to serve customers’ increasing demand for unlimited data.